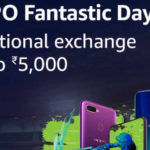 The Oppo F9 Pro with 128GB of internal storage is available with a free pair of Sennheiser in-ear earphones when purchased from Amazon India. 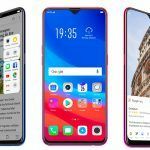 Last month, Oppo launched a newer variant of the F9 Pro in India. This new variant came with 128GB of storage, which is double the storage it was launched with. The phone has 6GB of RAM and is priced at INR 25,999. Now, the same variant is being sold on Amazon India with a really cool offer. When you purchase the phone, you will get a pair of free Sennheiser in-ear earphones. Therefore, if you were planning on purchasing the Oppo F9 Pro, then spend a little more to get the 128GB variant. The Oppo F9 Pro is a very good mid-range smartphone, at least on paper. The specifications are good, and it also has a really nice design and display. 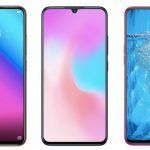 The device features a waterdrop notch, which gives it more screen real-estate. The 128GB variant comes with 6GB of RAM, as mentioned earlier, and costs INR 25,999. 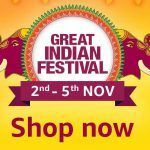 On Amazon India, the phone has an offer where you will receive a pair of Sennheiser Original CX 2.00G Black in-ear headset for free. These earphones are available on Amazon India for a price of INR 2,245 after discount. However, the Maximum Retail Price of the earphone is INR 4,490, and these have also received good user reviews on the site. 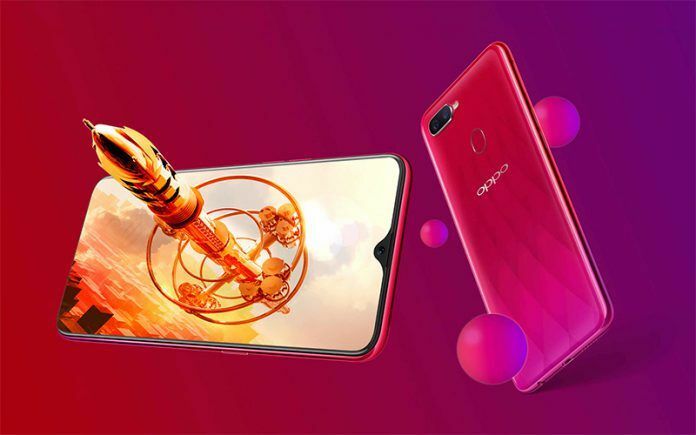 This is a very good deal for those looking to buy the Oppo F9 Pro as the phone doesn’t come with any earphones in the box. If you avail this offer, you will receive a very good pair of in-ear earphones for free. The Sennheiser CX 2.00G Black in-ear headset comes with a 3-button in-line remote and microphone. It features 28-ohm impedance transducer that claims to deliver balanced tonality along with deep bass. The headset also includes four different ear adapters to best fit your ears. To avail this tempting offer, you will need to have the said Sennheiser earphones present in your shopping cart. But before that, add the Oppo F9 Pro with 128GB variant to your cart, then add the earphones. Both the products should be purchased from the same seller, Appario Retail Private Ltd. Once you have added both the products to your cart, you can check out and the price of the earphones will be automatically deducted. Thus, the total cost will just be the price of the phone. For INR 25,999, you receive the Oppo F9 Pro with 128GB storage/6GB RAM and a pair of free Sennheiser in-ear earphones. The offer is valid till November 30 or till the stocks last. If you avail this offer, you will not be able to use any other offers. For example, if you are buying this phone on exchange, then you will not be able to receive the headphones for free. However, if you are a Jio customer, you will receive extra data of up to 3.2TB and vouchers worth INR 4,900 from Jio and MakeMyTrip. 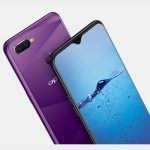 The Oppo F9 Pro comes with a 6.3-inch Full HD+ display with a waterdrop notch, similar to the one on the new OnePlus 6T. The phone is powered by the MediaTek Helio P60 processor, which is an octa-core chipset. It features a glass back with three gradient color options: Starry Blue, Sunrise Red and Twilight Blue. A dual-rear camera setup with 16MP+2MP sensors is available alongside a 25MP front camera. The device is backed by a 3500mAh battery, which supports 20W VOOC fast charging. Sid is one of our most active writers. He has previously worked with tech blogs like AndroidSoul and N4BB. Having dedicated his years on writing about consumer electronics and enlightening the readers on every new gadget on the block, Sid can very well be tagged as an expert when it comes to smartphones.